Thanks, I recently got a new PC so I guess I'm a bit paranoid about this sort of thing. 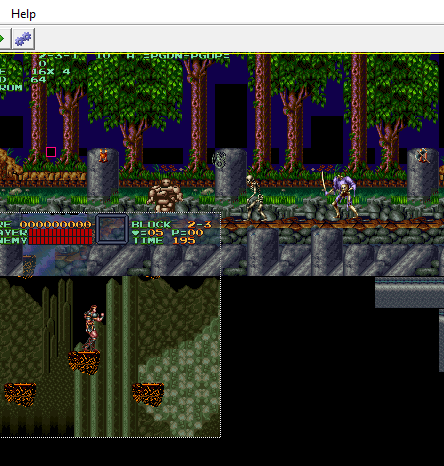 So, I don't suppose you'd consider a decompressor/editor for castlevania bloodlines would you? There's a simple Hack I wanna make but the graphics I wanna change don't seem to be decompressed. I don't have the patience or time to make an editor for another game, but I did put the latest source on github with basic contra3 and gradius3 support. I know very little about the genesis/m68k instruction set and graphics processing. The editor has a lot of snes assumptions in it. The compression is probably just some variant of lzss, but who knows if they used the same control word encoding as the snes engine. Maybe someone who has worked on genesis games can help out. Hows the progress with this editor, and the Contra 3 one?? I need a break from the editor. Contra 3 is heavily scripted making it more painful to make an editor for than CV4 or Gradius 3. No real progress on Contra in this version. - Added some basic Gradius 3 editing. - Fixed bugs related to entrances and exits in CV4. Gradius 3 has the typical level editing stuff supported in the expanded version including events. 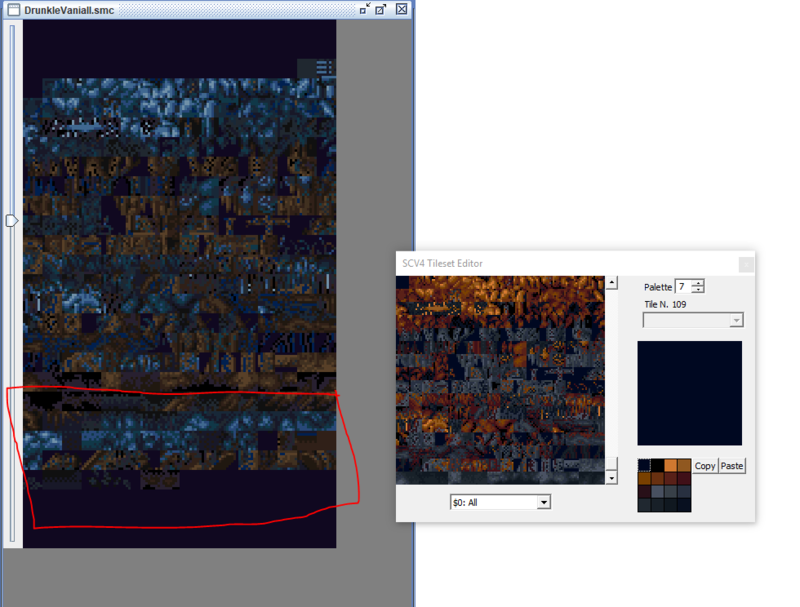 Tile collisions aren't editable as that was a lot of work in CV4 that I'm not ready to redo in Gradius or Contra. One unique thing about Gradius is you have to manage WRAM for enemies yourself instead of having the game engine do it. The SubId of type == 0 and type == 1 corresponds to the slot in WRAM. Type == 0 will conditionally check the slot to see if it's in use, type == 1 will just overwrite it. Some events require multiple slots (3 enemies, 5 enemies, multi-part enemies like the sand dragons, etc). Some events look like they require specific slots like 0 for the sand dragon. I attempted to write an automatic slot assignment code, but there are a lot of rules I don't know about so I commented it out the code for now. Type == 3 are what I'd call sequence events which change music, level, speed, palettes, tiles, etc. The editor tries to display the resulting change if you select these events with the event editor open. It's nowhere near done, but with an expanded ROM it's possible to do basic hacks with some trial and error. In CV4, even numbered entrances are considered "forward" when the game loads up events. Odd numbered are considered "reverse". This makes a difference for which direction you are traveling in for an entrance. I hope you come back to this, it looked like a great tool. CV has been getting so many hacks and tools lately. Good time to be a CV fan. Especially with the Castlevania Netflix series coming out. bloody title screen in english? It is very easy to set up the internal and external Emulator to test your hacking. Keep in mind that you can test changes in the internal emulator and this changes are not saved to the rom till you save the project. This can act as a undo button when you save often. I recommend to backup your Rom and make version numbers just in case something went wrong. Sure you can fix a lot if you know how. But rolling back did save me a view times! I did test the save future extensive to backup my project. It is not suited for that. A level save contains; Tile, Palettes, Tilemap, Event and most of the properties of the current scene. It is perfect to share levels or update tiles and blocks. It can be used for undo your last actions.. and sure it does backup a lot. -Keep in mind that new added exit events will not be saved in this format. right/left mouse button: Copy/paste blocks in scene editor. Right and hold will let you move the main window. You will find most palettes and there offset to edit with other tools. Great tool works well but there are a view bugs. See bug list! This is a very use-full tool I discovered very late. I did draw this Dracula-Wolf-Head within the editor. You have a drop-down menu to the right to change the tile property; ground,mod,step,slope,spike.. D2??? and D6??? work as background stairs. Did not find anything special on them. You can import tiles with a external tool and reassign everything and make the proper palettes. Here I started a CV3 example. Not nearly finished and it would be a lot of work. I did draw a lot of new blocks by just using tiles that are already there. Like finding some wood or whatever and start drawing a new block with it. - You can Copy/paste a block. This is very helpful in many ways. Sometimes you need just a view tiles changed in a existing block. It allows a fast workflow. - Flip/Mirror tiles to your liking the only thing that stops you are mode 7 sections. - set Layer Priority for each tile!! You decide what is in the foreground by checking this box. Make hidden stairs. Hide Candles. Make a awesome scene with depth!! All possible here!! - A drop-down menu to keep track of your costume tiles. You can sort them here but you don't need to. The love and hate of events and properties. This will consume the most time to learn but it pays off since you can make really awesome things with it. - (1,m,n) are mostly (all?) candles. - (1,m,n) m will be all iteams. OLD//(1,6,n) drop subweapons where the subid determines the type. E.g. n=1A -> dagger. - (2,15,n) are level ending points. Some levels use custom boss code or other events to trigger the end. - (2,41,n) are in-levelcamera locks. The level has an initial set of bounds looked up by the level ID and then these events can change the bounds. I am sorry I am not ready to back this down yet. The Player/Level section explains it self a lot. Be aware that some changes to the player section may mess up your internal emulator or Rom. There is also a bug that could reset the player and level section with 0's. It does almost never happens and I could not track it down. For example when you set the timer to 0 in the level section. The player spawns in the background and you will be soft-looked. I did not a lot of testing here. The properties editor has the starting camera lock for a particular entrance. 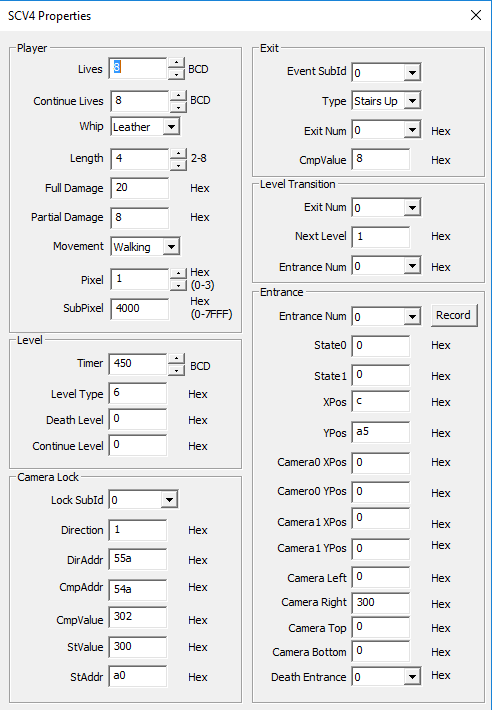 (Camara left,right,top and bottom) Events 2,41,SubID X use X to choose the camera lock (also in properties editor) to change one of the lock directions. Direction =1(Right or Down),2(Left or Up) "Trigger when Simon moves in this direction"
DirAddr=55a(X direction),55e(Y direction) "Direction off the trigger"
CmpAddr=54a(X position), 54e (Y direction) "Set Compering to X or Y"
CmpValue=x or y value to check current values against "Triggers when Simon moves over coordinate X Y "
StValue=new value to change lock to "Set new Value to where you want the camera lock to go"
StAddr=A0 (left), A2 (right), A4 (top), A6 (bottom) "Set witch Camera lock you want to move"
All of those are work ram address so you can do crazy stuff by comparing and writing anything under $2000 if you are feeling lucky. you want the exit. Choose the right exit trigger. Even entrances expect you to go from low coordinates to high coordinates and odd entrances expect you to go from high to low. The game engine has very strange event loading. It assumes everything should be loaded in order in one direction and if you start looping around it gets confused. To be exact!! What happens is each level has a hardcoded event direction type in the ROM. You can't edit that with the editor right now, but it's stored a 80:D8A3 and indexed by the level (byte per level). 0,2 are values in the positive direction. 1,3 are backwards. Then the entrance has to come in and flip that value around if it's backwards (odd entrance) so it XORs in 1 so 0->1, 1->0, 2->3, 3->2. So if you want to go backwards with how the original level was designed you need to first understand which the direction stored at 80:D8A3 is and then decided if you need an even (same direction as original level) or odd (reverse of original level). I forgot what the difference is between 0 and 2 (same with 1 and 3). I did use BSNES Plus and the debugger tools to view VRAM I could change the tile map there but how to change it in the rom!? Some things like menus and one-time things are hardcoded pointers to their table. Level data (tiles, blocks, scene data, etc) use an indexed array to find the table. $82:80EA - Address of table decompression routine. X contains offset into bank $81 of table. $F4:A3FD - Address of table that has decompressed tile map data @ VRAM word address $1000 ($2000 VRAM byte address) for title sreen. The first 3 bytes are information (AAC, A=size, C=header byte which says this is uncompressed data) and everything after is data which is aligned to $F4:A400. Offset in the file is $3A2400. Most bugs I had been not understanding how it works.. I will make a bug list here in case they may get fixed once. The bugs will be in this version of the editor. I will test bugs and provide a video. Glad to see the editor is still in the works. Hi Math glad to see you. I will try to push the number of exits to the limit on my current project among other things. The problem is not the editor it is a other one.. The community around making a level or a SCV4 project is almost dead. It is like with the CV3 people. There are some but they could need someone who is experienced to work on revamp a bit.. since it is out of date and they do lots of the stuff by hand on a hex editor as far as I know. A other problem is sc4ed modifies the ROM in a really, really bad way. Redguy manually edited each byte for code and data changes based on address. He was too lazy to learn one of the assembler languages at the time. All those changes in the randomizer and when expanding the ROM should be an assembly file that gets patched with an assembler. He manually calculated direct branch offsets and other things.... which is unfortunet. I still hope that we will see bug fixes in the future. But mostly I hope to see some new people starting a project. Also if you are a artistic person. It is possible to make custom tile set and arrange them. Sharing patches like this would may be get some people out of there bushes. There is no graphic hack but it would be possible to do.